With their starting tight end ailing, the Cardinals have added some reinforcement at the position. According to NFL.com’s Ian Rapoport (via Twitter), the team has promoted tight end Gabe Holmes from the practice squad. To make room on the roster, the Cardinals waived running back Bronson Hill. Jermaine Gresham has been battling an illness throughout the week, and it was reported earlier today that he’d miss this weekend’s game against the Redskins. As a result, the team added some Holmes for some extra security at the position. The 26-year-old has bounced around the league since going undrafted out of Purdue in 2015. 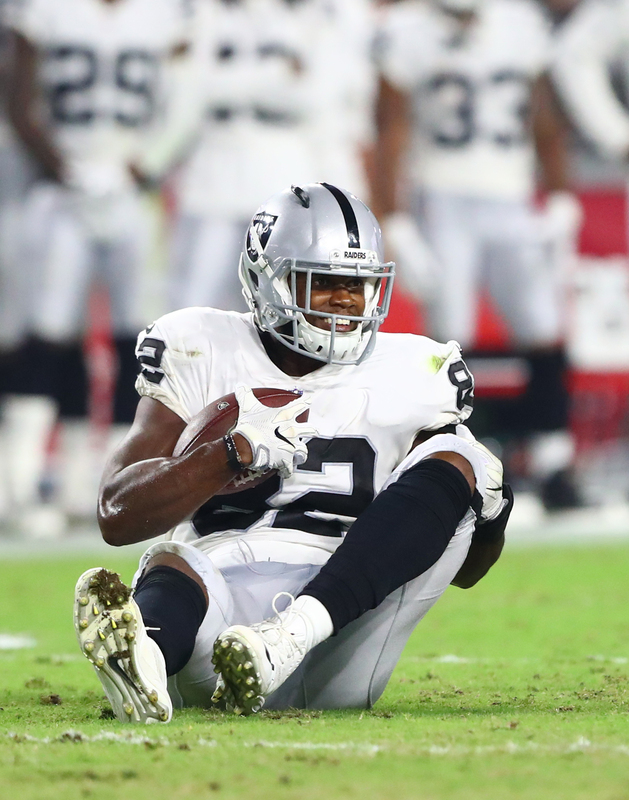 He previously had stints with the Raiders, Seahawks and Ravens, and he’s been on Arizona’s practice squad since the end of November. He’ll slot in behind Ricky Seals-Jones and Troy Niklas on the depth chart. Hill has spent time with eight different organizations since entering the league as an undrafted rookie out of Eastern Michigan in 2015. He played in three games for the Jaguars in 2016, compiling 11 yards on a pair of carries. The Cardinals will now be rostering three running backs in Kerwynn Williams, D.J. Foster, and Elijhaa Penny. 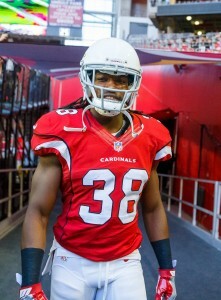 The Cardinals have waived running back Andre Ellington. Arizona has also signed running back Bronson Hill to its practice squad. Although Ellington is a vested veteran, he will be subject to waivers since we are past the trading deadline. He hasn’t had the role of a starter or looked the part of one in some time (he was inactive on Sunday, his final game with the Cardinals), but he could hold value for several teams looking to fortify their running situation. The Redskins, for example, might consider claiming him after losing Chris Thompson for the season. Ellington is not as explosive as Thompson, but he does have soft hands out of the backfield. In eight games this year, Ellington had 15 carries for 53 yards – good for just 3.5 yards per attempt – and one touchdown. He made a bigger impact as a pass-catcher, hauling in 33 grabs for 297 yards Heading into the season, the Cardinals planned to line up Ellington exclusively as a receiver instead of at running back, though they backed down from that plan in June. The 0-10 Browns will have top priority on the waiver wire, so they’ll have the first opportunity to add Ellington to the roster. The 49ers (1-9), Giants (2-8), Bears (3-7), Colts (3-7), and Broncos (3-7) will also be among the teams at the front of the line. In September, the Cardinals planned to have David Johnson, T.J. Logan, and Ellington as their top three backs. Thanks to injuries and Ellington’s ineffectiveness, all three players are out of the equation.